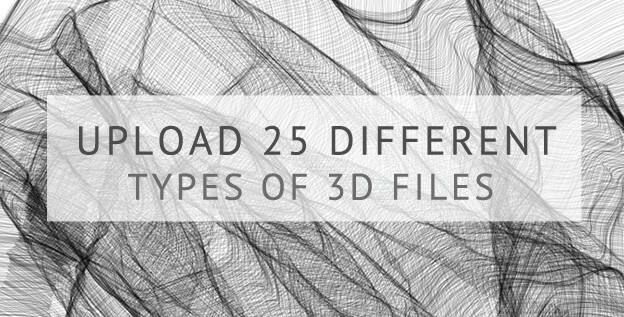 25 types of 3D file formats are able to be uploaded! Whatever 3D software you use, there is always a solution to upload your file on Sculpteo’s website! Of course, an STL file – the most common type of 3D model format – can be uploaded for a 3D printed through Sculpteo’s services with no problem. That being said there are 25 other file types you are able to upload to our site. With the following guide, you’ll learn everything there is to know about file formats, including files with color and different textures. Whether you use Autocad, Rhino, Inventor, or any of the other software out there, our guide will help you save your model in the necessary format. Become a master of 3D files now! There are many ways to create a model. Whether you use professional CAD software, or a more user-friendly one, you’ll always be able to find a file format compatible with Sculpteo’s uploading tool. 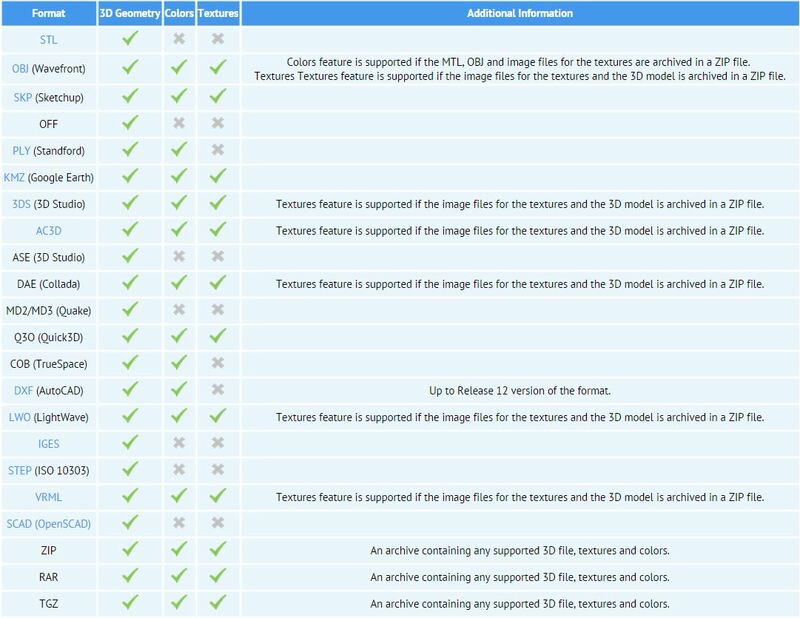 Below are the most common file formats that our 3D printers here at Sculpteo are able to interpret. All of these different kinds of files can be simply uploaded by clicking on the “Upload a 3D file” button, on Sculpteo’s website. You can find more informations about it on our resources pages. If given the option, export your 3D model as an STL. Our online tools (the repair tool in particular) work most effectively with STL files. It’s pretty convenient since most of the 3D softwares allow you to save your 3D file in STL format. 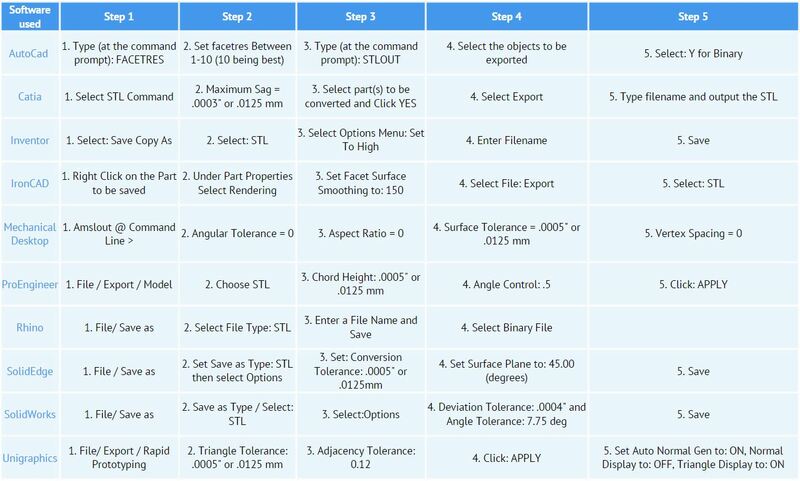 If you want to make sure how to do it, take a look at our “How to save a STL file from different softwares” table below. There are all the informations you need to export your STL file from Autocad, Catia, Inventor, Ironcad, Mecanical Desktop, Pro/Engineer, Rhino, SolidEdge, SolidWorks and Unigraphics. And it’s even possible to convert most of your files into STL format with the free software program called Meshlab. If you want to 3D print your object multicolor, you’ll need to make sure that your file either has vertice color or texture. Vertice color is when the texture or color information is applied directly onto each vertice of the model. Texture is a separate image file that is mapped to the geometry. Image formats can be .jpg, .png, .bmp, .gif, .tga or any others. You just have to make sure you put the image file in the .zip archive. Once again, even though .obj will work more effectively with Sculpteo’s online tools, the Upload tool makes no discrimination and allows several other types of file, such as .WRL or .VRML. We could spend hours presenting our the uploading tool, but the best way to start using it is by uploading a new 3D file here. UPDATE: We are now offering more than 32 file formats, check out our last list including the native formats!